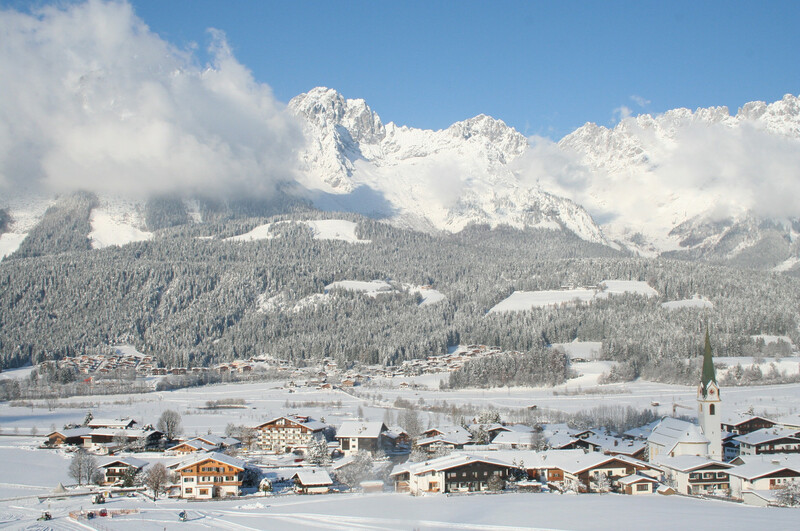 SkiWelt Wilder Kaiser – Brixental is Austria’s largest interconnected ski area and is one of the most varied winter sports areas in the Alps, with the greatest certainty of snow. One award after another is proof that here 279 km of ski runs, over 90 modern lifts and more than 70 refreshment stops make for winter fun which is simply “world class”. With 13 km of night skiing slopes and 7.5 km of floodlit toboggan runs day becomes night to let night-time thrill seekers sweep down perfect slopes and toboggan runs across the sea of lights in the valley. Whether with family, as a couple, with friends, alone or in a group: at SkiWelt Wilder Kaiser - Brixental you’ll always get your money’s worth and find an offer to suit everyone! It’s white as far as the eye can see when it comes to snow conditions here too: SkiWelt Wilder Kaiser - Brixental is particularly blessed with natural snow. In addition, 210 km of the 279 km of slopes can be completely covered with manmade snow. This is guaranteed by more than 1,000 snow machines in the ski area. From treeless summit slopes for carvers, to richly varied slopes for experts and family slopes bathed in sunshine, to the fantastic valley descents which go on and on, all the slopes are in perfect condition. Spectacular views and mountains of snow are guaranteed.